Our founder, Gavin Cox, spent much of his younger years in the same place that all of our Cacao is lovingly grown; in South America. So when developing Cox&Co, he knew that to create the best tasting chocolate, above all else he had to use the best Cacao in the world, and it had to be produced as ethically as possible. Working with business partners to develop not only the best flavour combinations, but also how to make this a bar of chocolate to feel good about, they decided to work with Casa Luker, an estate in Colombia. 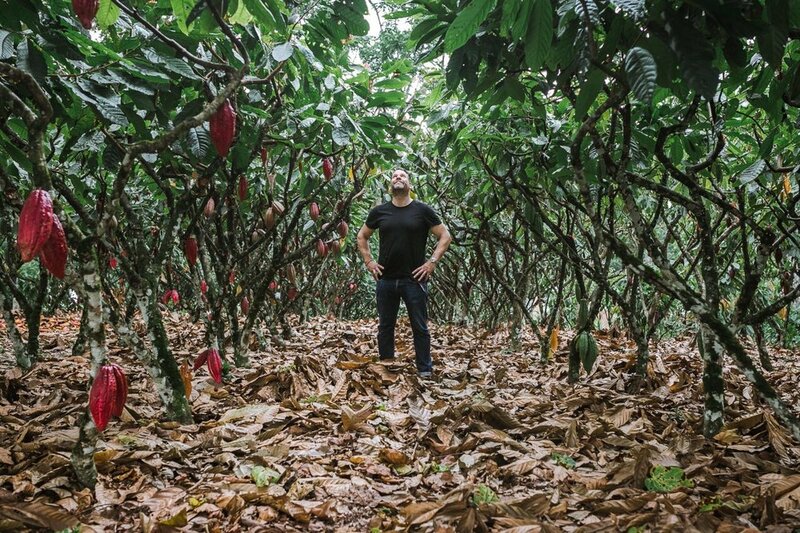 Casa Luker invests in their farmers, communities and has developed environmental farming methods, meaning that Gavin and Co could ensure all of their cacao was traceable and tasted incredible. Cox&Co. is part of the Montrose Chocolate family, along with Danny’s Chocolate and Benefit Chocolate. Find out more about the Montrose Chocolate brands here. We would also like to say thank you to Dawn (Gavin’s Mother-in-law) for all the original artwork that you can see on the Cox&Co. packaging. For more about Dawn and the amazing work she does please click here.